Microsoft’s Security Blog lays out some of the important security implications of end of support so that customers are informed about what this change means to them. 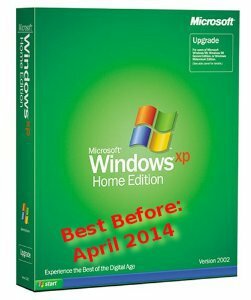 Some of the information in this Blog might be on the technical side, but the important thing to note is, “… after April 8, 2014, Windows XP SP3 users will no longer receive new security updates, non-security hotfixes, free or paid assisted support options or online technical content updates. “Microsoft’s Windows Lifecycle fact sheet gives Windows 7 a retirement date of Jan. 14, 2020. The Windows 7 mainstream support period, where things like feature updates can still happen, is scheduled to end Jan. 13, 2015.